Pentecost (or First Fruits) is one of the three major Jewish feasts established in the Torah (Leviticus 23:15-16). It was celebrated fifty days after Passover when the first fruits of the wheat harvest were presented to God and it commemorated the giving of the Law to Moses on Sinai. All Jewish males were expected to be present for these feasts in Jerusalem every year (Exodus 34:23), but Jews who lived outside of Judea might be able to come only once or twice in their lifetime. Thus it was that fifty days after the Passover death and resurrection of Jesus, there were in Jerusalem many devout Jews who had come from “every nation under heaven” that year to be present for the feasts. These Jews were the ones who came together on the morning of Pentecost and heard the good news of “the mighty deeds of God,” each in his own language (Acts 2:7-11). Peter then proclaimed to them the death and resurrection of Jesus for their salvation and the forgiveness of sins. For just as the sacrifice of the Passover lamb in Exodus had freed the Hebrews from slavery in Egypt and the tyranny of Pharaoh and had preserved them from death, so now Jesus, the Lamb of God sacrificed on the cross and raised by God from the dead, frees us forever from the slavery of sin and the tyranny of evil and preserves us in Christ from everlasting death. The physical salvation of the Jews in Exodus through Moses was but a foreshadowing of the far greater eternal salvation now extended to the whole world, both Jew and Gentile, through the death and resurrection of Jesus Christ. and a new spirit I will put within you. in those days I will pour out my Spirit…. On the very day commemorating the giving of the Law to Moses on Mt. Sinai, the law of Christ’s new Covenant was poured, through the power of the Holy Spirit, into the hearts of all believers for all time. The glory of God was revealed and made manifest through the sacrifice of Jesus on the cross (John 17:1-11, 22-26). Just as a the grain of wheat dies when it is sown in the earth and bears much fruit, so also Jesus’ sacrifice, his death and resurrection, brought forth its first fruit on the day of Pentecost. The promised outpouring of the Holy Spirit came upon the disciples, remained with them and bestowed upon them the gifts of evangelizing, preaching, healing and proclaiming to the world the power of the risen Christ to save, to heal, to forgive and to bless. 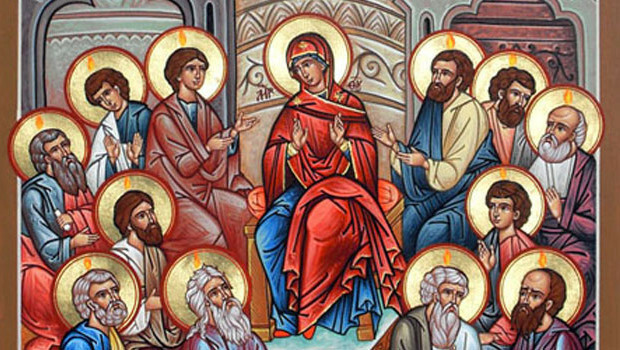 Thus, when Peter preached his first sermon on Pentecost morning, 3000 received the good news of salvation in Christ, believed, and were baptized as the first fruits of Jesus’ death and resurrection, presented to God on Pentecost. Jesus’ disciples were empowered and equipped on Pentecost by the Holy Spirit and sent out as apostles bearing the good news of Jesus to Jerusalem, Judea, Samaria and the uttermost ends of the earth (Acts 1:8). They continued to work alongside the Lord, reaping the fields white with harvest, preaching Christ boldly while the Holy Spirit confirmed their words with signs and wonders (Mark 16:20). To these first fruits gathered on Pentecost would be added a multitude of believers, both Jews (Acts 4:4) and Gentiles (Acts 10:27, 44-48), stretching out from Jerusalem and Judea to the ends of the earth. We sow the seed of the Gospel, the Holy Spirit confirms the word by his working, God gives the growth, and the harvest that began with the first fruits of Pentecost continues now in our midst and through us until the end of the age (Matthew 28:19-20). 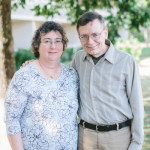 Barbara Gauthier and her husband Stephen bring a wealth of liturgical and church history knowledge to the Greenhouse Movement. We are excited to have her sharing more about the Feast of Pentecost and other important liturgical traditions.